Mountains everywhere you look! Your kids will love the play pool here! 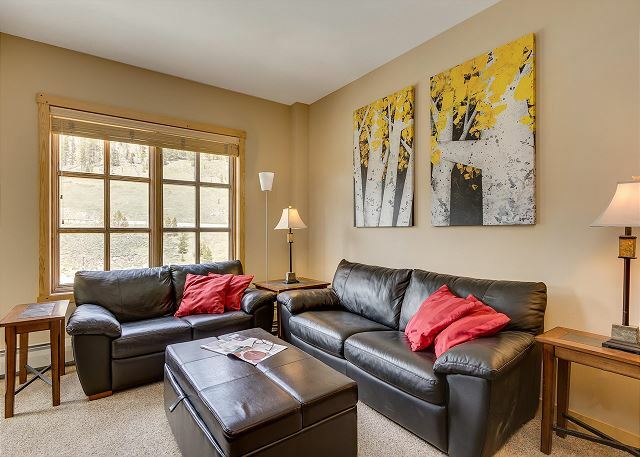 Sink into one of the new Ikea leather couches after a great day on the mountain. The chef will be part of the conversation in an open layout kitchen/living area. 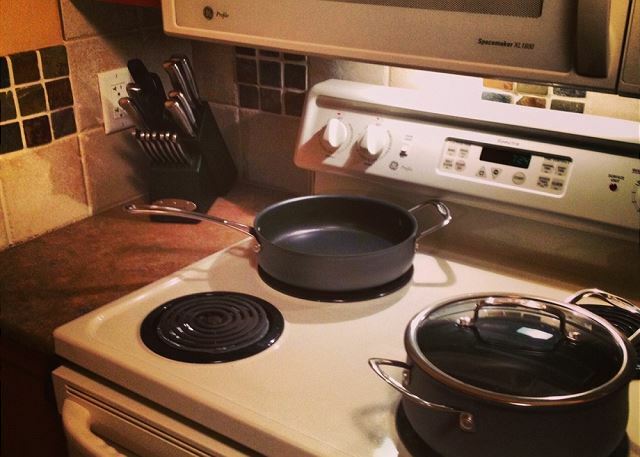 You'll have all the utensils and cookware you'll need to prepare a feast. All new, high-quality cookware, bakeware, knives, dishes, glassware, utensils. One couch is also a queen sleeper with memory foam, and the ottoman is a twin. 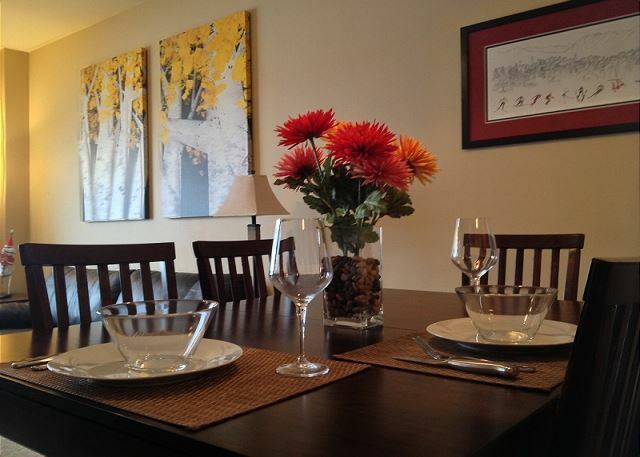 Enjoy a candlelight dinner or a relaxed chili feast at the table for 6. Why not watch a movie? The 55" flat screen is a Smart TV with BluRay/DVD. Or relax on the balcony. NOTE: There is NO LONGER a grill. HOA rules. Sleep like a baby on the king bed with memory foam mattress. 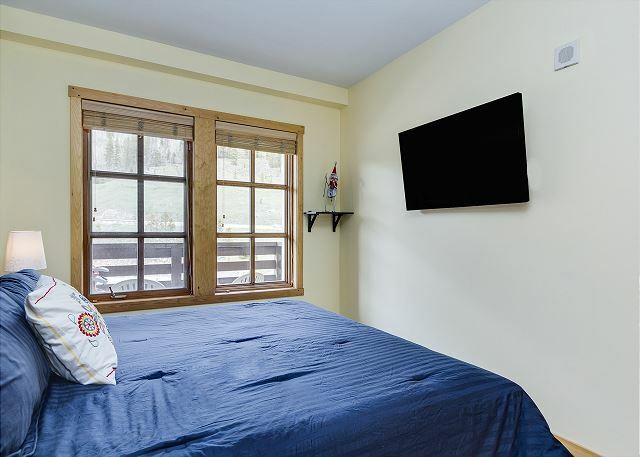 There's also a 47' flat screen Smart TV in the bedroom. 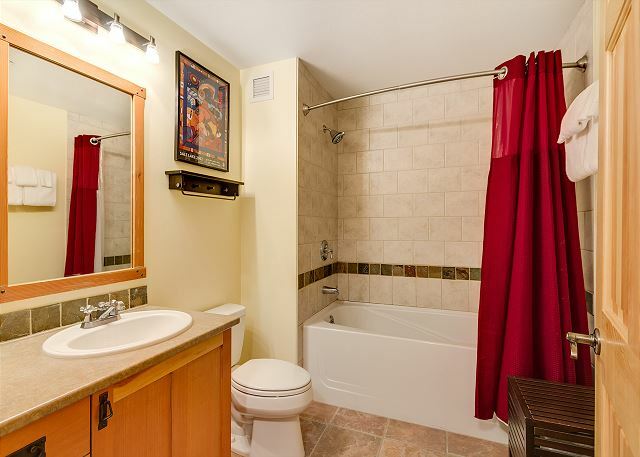 Roomy bathroom with shower and tub combo. Generous supplies, hair dryer and towels. Could the view be better from the hot tubs? One is hot and the other is hotter. 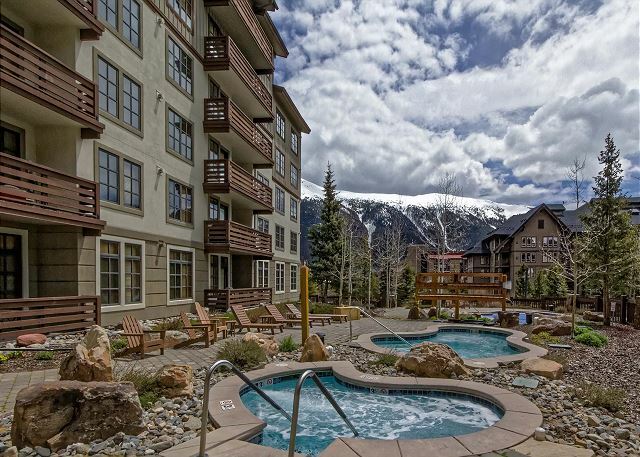 And you will love decompressing in one of the huge hot tubs. Modern equipment for your workout. The fitness room looks out onto the patio. Easy ski/board storage in your very own locker on the ground floor. 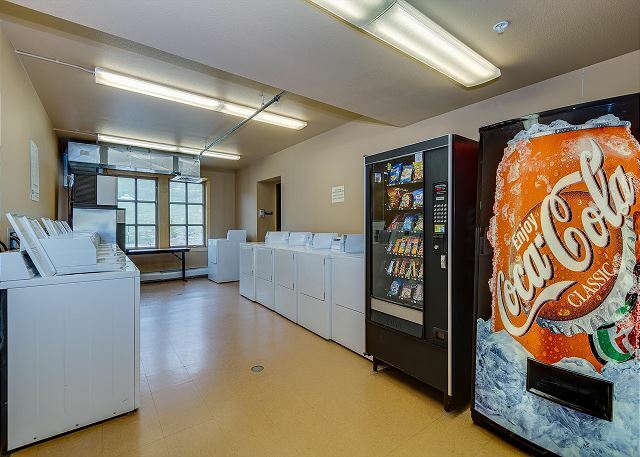 Huge laundry room and vending is on the 2nd floor. Convenient parking in the heated garage under the building. 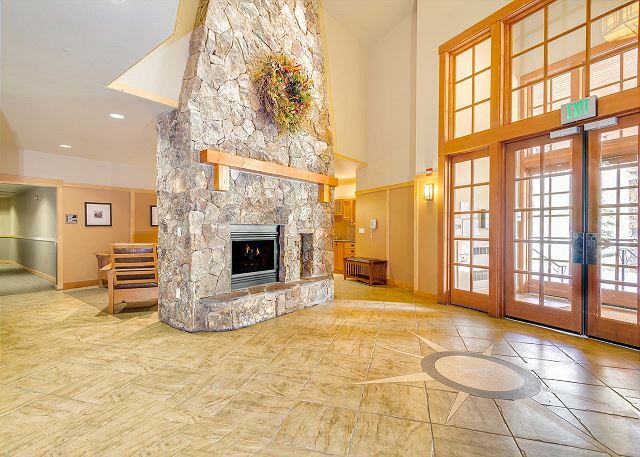 The lobby is complete with fireplace, seating area and wet bar. You won't miss the building with its landmark clock tower. Another view of the front of Passage Point and the main entrance. Lots of custom details in Passage Point, built in 2000. 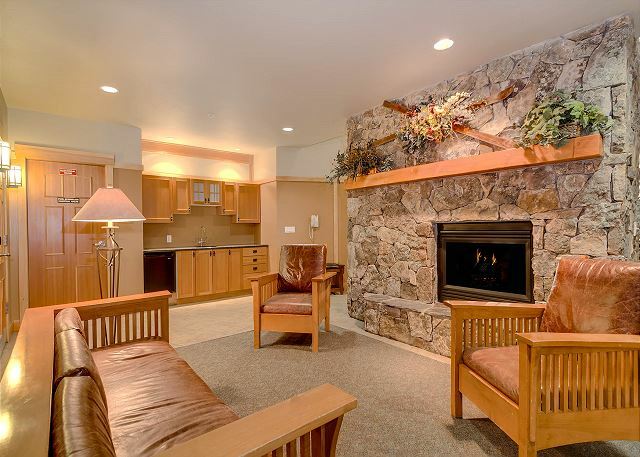 Classic Colorado mountain lodging at Passage Point. 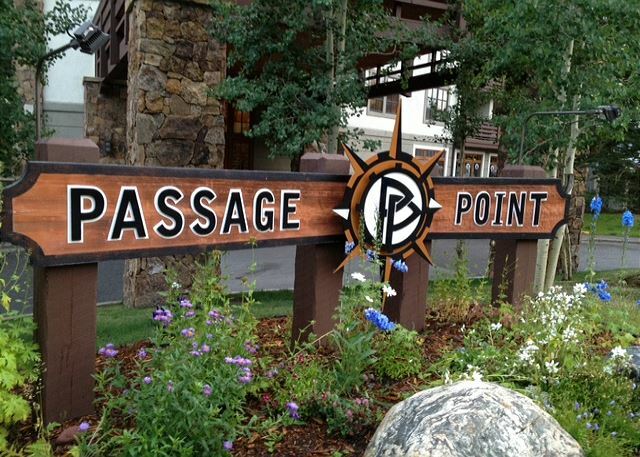 Passage Point is smack-dab in the middle of the Center Village at Copper. Just a 3-minute walk to the American Eagle lift from Passage Point. No 70's decor or shag carpet here! 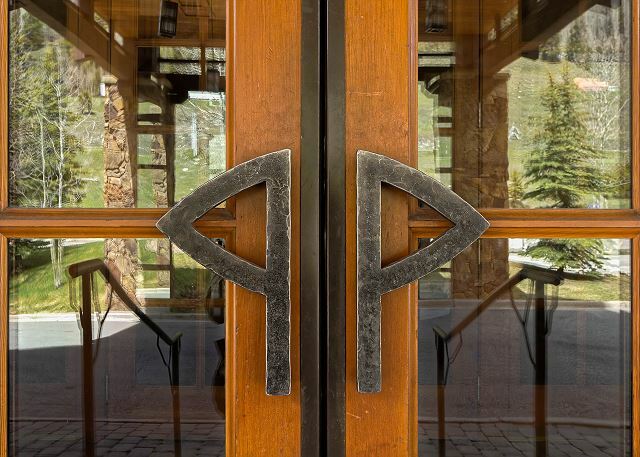 Just a two-minute walk from the lifts, Passage Point is one Copper Mountain's favorite premium lodging options. 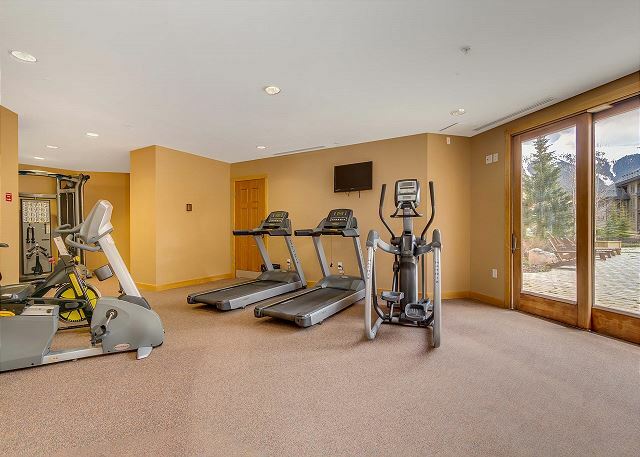 Guests staying here in one of the newer buildings at the resort all enjoy access to a great set of outdoor hot tubs and a heated kids play pool, as well as a friendly commons area and a top-notch fitness room. 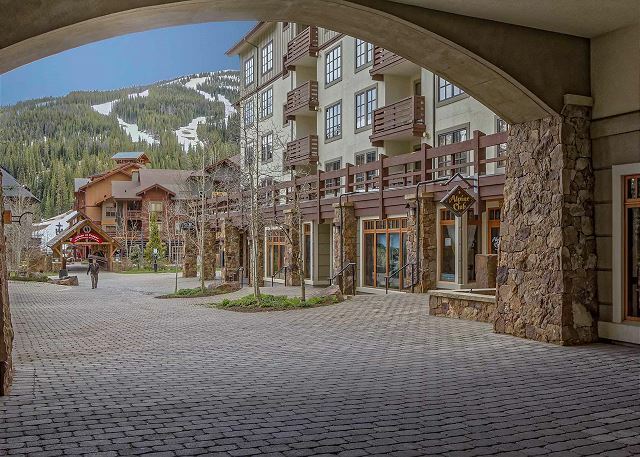 Up to five people can sleep his sleek top-end unit on the quiet fifth-floor with all the modern extras, including stainless steel cookware, and all the little extra kitchen gadgets you need for a gourmet apres ski session. 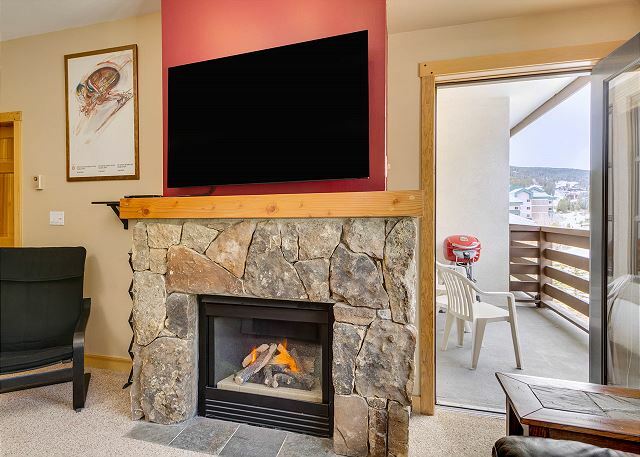 After your mountain adventures, plop down on one of the new leather couches, kick your feet up in front of the gas fireplace and watch one of the movies in your Netflix streaming queue on the 55" flat screen Smart TV. 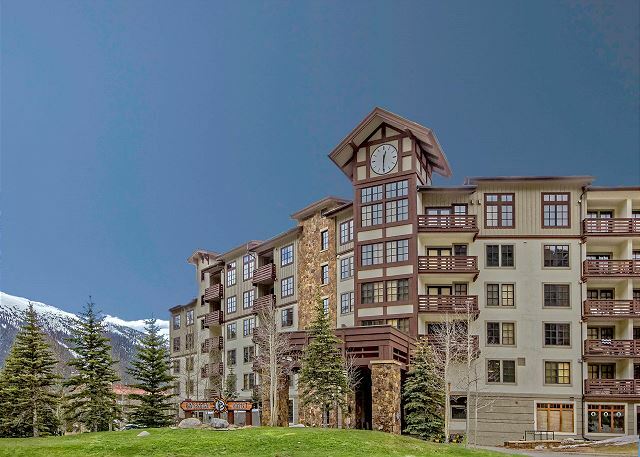 And, while sipping on a Sam Adams or hot chocolate on the balcony, you'll have gorgeous views of the Gore Range to the north and Vail Pass to the west. 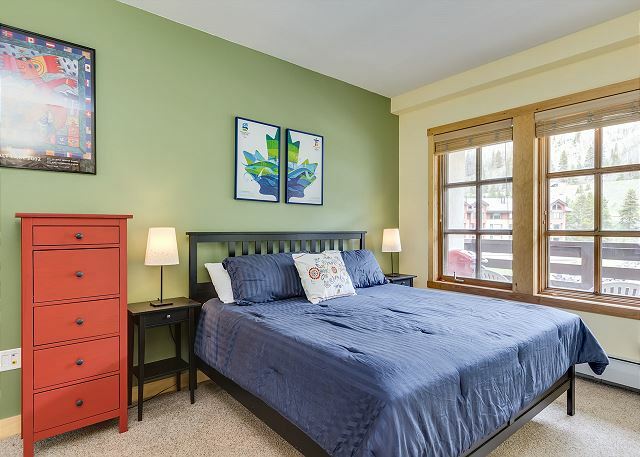 Rest up for your next ski session with a good night's sleep on the king bed with deluxe memory foam mattress in the bedroom and a queen sofa bed with memory in the living room. Passage Point is just across the covered bridge from the lifts in center village, but set back enough to be away from the noise and hustle and bustle of the Burning Stones Plaza. 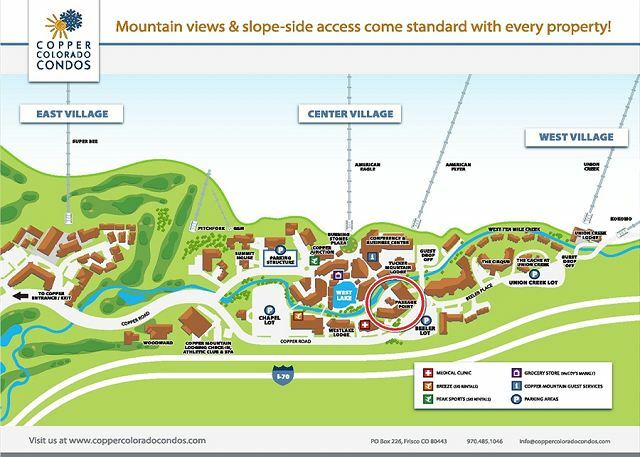 For added convenience, take the free Copper village shuttle to any other lifts at Copper's Union Creek or East Village. All shuttles and the Summit Stage stop just outside of Passage Point. The Summit Stage is a free bus that will take you all over Summit County. 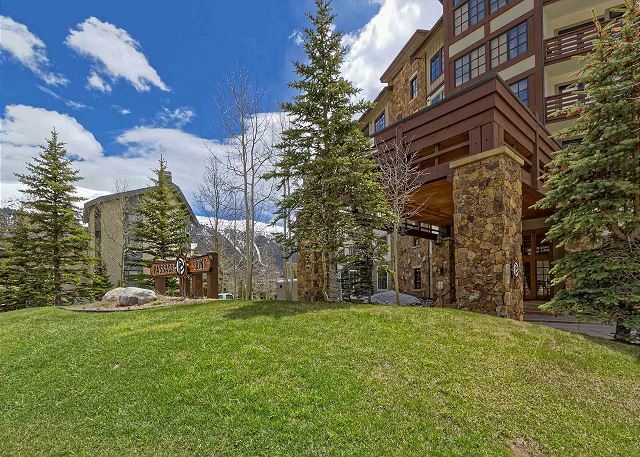 Please contact us if we haven't answered all of your questions about this special chic ski condo! Spend 8 nights there 16-24 Mar 2019. Love this unit in Passage Point. 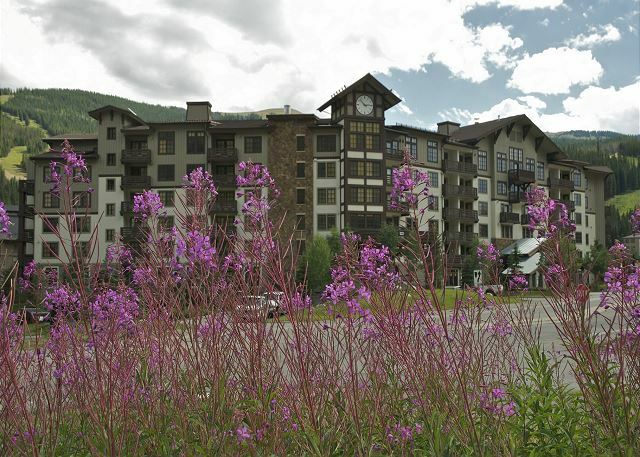 Great location, short easy walk to lifts, surrounded by restaurants and shops. 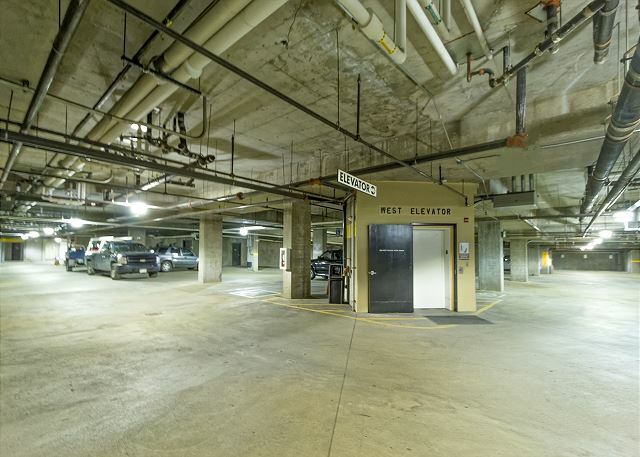 Underground parking is a huge bonus. 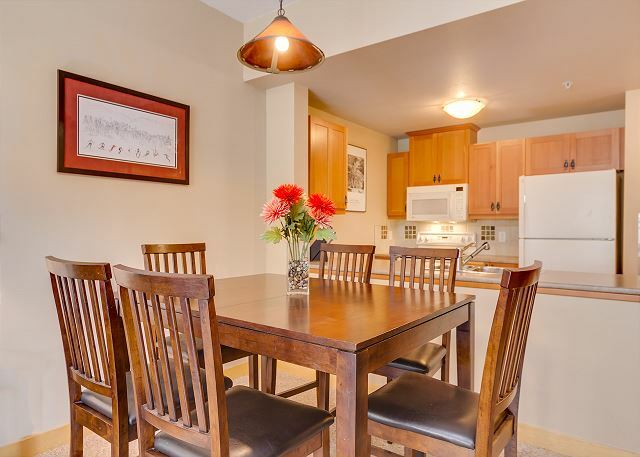 The condo itself has everything you need to prepare meals and enjoy time with family. Coordinating our visit with Leigh is always easy and she’s a great help. Strongly recommend it. We had a great time - from the weather to our great Condo to the great food and drink (not to mention the awesome skiing). Extremely easy. The location is perfect. With kids in ski school (which starts in the West Village), the bus to take you there is right out front. 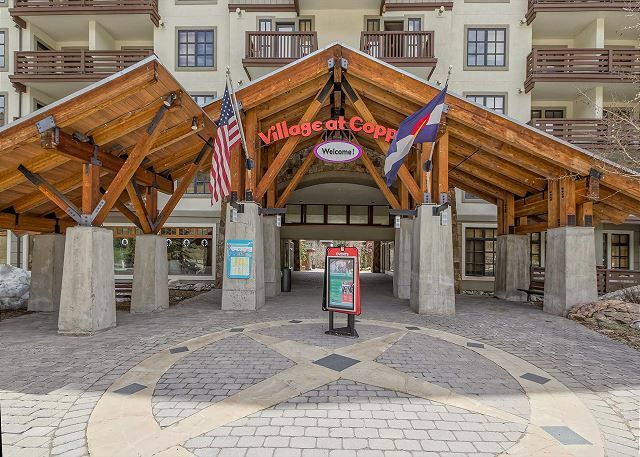 Then if you want to come back to the condo for lunch, just ski to the Center Village and you can walk. It was a fantastic experience. We lived staying in this great condo with our little family if 4. The bedroom was big enough to fit our pack n play and slept four of us very comfortably. The condo was comfortable with many nice upgrades. The location was great. It was so easy to get anywhere either by taking the shuttle right out the door or by walking. We loved staying in this unit at Passage Point. 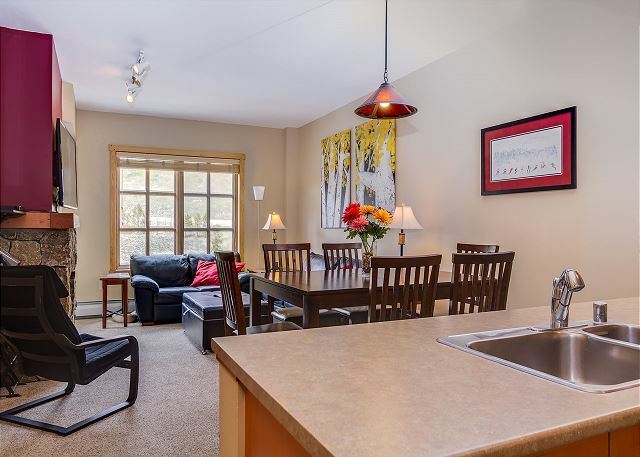 It is very clean and the kitchen had everything we needed. It was a short walk to the lifts and all the shops/restaurants. Very quite and has awesome jacuzzi (3)! We will definitely come back and recommend to friends. Great location and beautiful scenery. I stayed here during the summer. It got to be a wee bit warm in the day, but there was a fan in the closet to cool things off. The location is good, but the view is not of the mountain, and the road noise can be a bit loud with the window open. There is also ongoing construction nearby. Neither of these things should be an issue during the winter. The condo is very comfortable, and well-appointed. 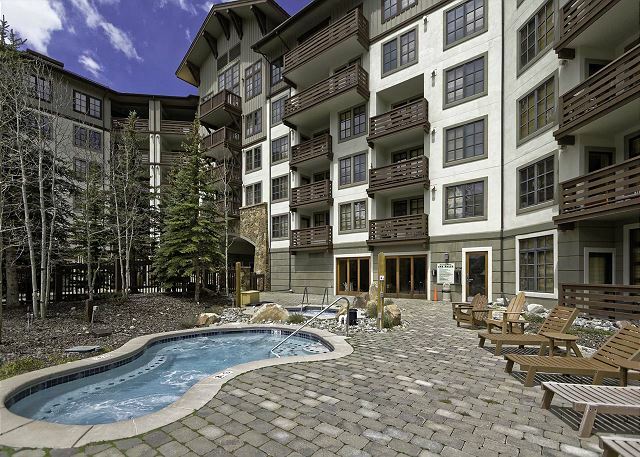 The pool and hot tubs downstairs are a nice bonus as well. I'd stay here again. My wife and I always try to stay at Passage Point. This condo was the best so far!! We are already talking about returning next year. Very comfortable and well appointed furnishings. Our manager Leigh Wadden was courteous and informative. Thanks for creating a wonderful memory!! This place was awesome! The condo had everything we needed. It was very comfortable! We would definitely stay here again! 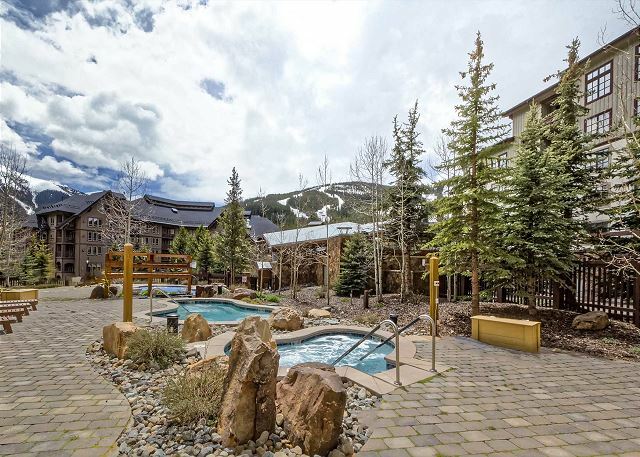 Great location, comfortable up to date accomodations, Leigh was immmediately resonsive to emails/calls, will definitely stay here again when skiing Copper. Thanks! We really enjoyed our stay at this condo. It was clean and had everything that we needed. The owner was really clear in directions on how to get there. Love how easy it was to get to the slopes. We will definitely come back when we can. Thanks again for letting us enjoy your place.